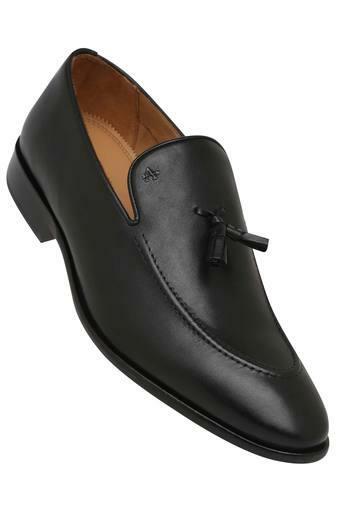 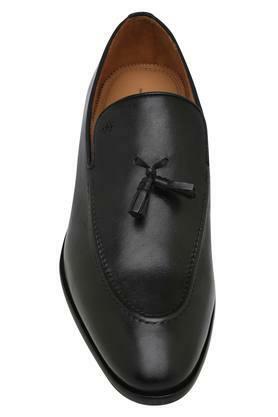 Complement your formal outfit with this pair of loafers from Arrow. It is crafted from leather that gives it a good finish and also makes it easy to maintain. 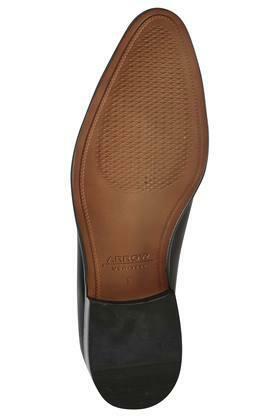 The thermoplastic rubber sole offers an excellent grip. 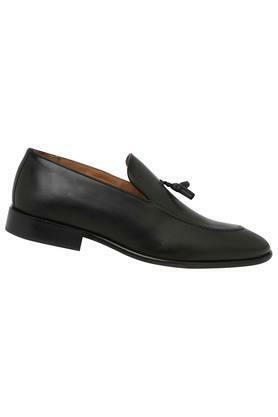 Featuring a low top ankle, it also comes in a slip on style that makes it convenient to wear. Ideal for any formal occasion, this pair of loafers will be a fine addition to your footwear collection. You can wear it with any of your trousers and a crisp shirt for a smart look.